This morning, as a freelance journalist, was not what I am used to. Getting up well before sunrise. Another thing I am not used to is premium whisky being sold by a supermarket chain, and rather than that supermarket being the rarefied Waitrose, Aldi was the shop to go to. 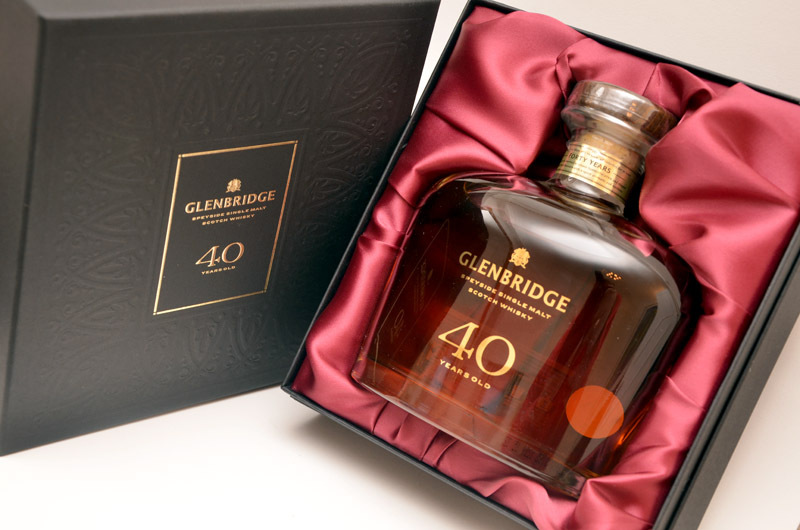 To find (having been tasted by Jim Murray, amongst others), the best value 40 year old whisky on the market. With only 3000 bottles produced and 450 stores country wide to distribute them around, there were to be only 6 bottles for most of the stores. I decided to go to Aldi on the Old Kent Road in London. A good choice I found. I arrived at 7.30 for an 8 o’clock opening and was the 6th person in the queue. A couple of minutes later a 7th joined us and within ten minutes there were 40 of us. A nice lady popped out of the shop, explained there were only 6 bottles and gave us lucky 6 a ticket each. The other lucky five were a mixture of two present baggers, a real whisky fan, another whisky journalist writing for Whisky Magazine and a brand ambassador for Drambuie. So for once, the idea of first come first served, no exceptions had worked. There was no preferential treatment for journalists or big whisky buyers, even the staff were not allowed first dibs. Joel, of Whisky Magazine was getting texts from other stores around the country where people had started to queue pretty early, from 3am in Oxford, and there were stories from others turning up that other shops in London had very long queues, up to 200 in Catford. So was all the fuss and early starts really worth it for the luck few? But no, the lovely amber brown liquid wasn’t good, it was very good. A bigger bargain one could not imagine for a 40 year old dram. So what did it taste like, well. Sherry again, and chrystalised fruit, nuts and dates folowed by some spice, nutmeg, sweeter on the end. Bits of spice and a little orange peel. Oaky from the cask, but not overbearing. All in all a pretty good dram, I certainly have poured myself another, and leaving it to open out a little gives it a bit more complexity in the spice range. This would be good value at four times the price, so I can’t really complain about getting up early for once! This entry was posted on December 8, 2011 by Champdenwhite. It was filed under General Tastings, New Whisky Bottlings . I felt like Charlie and the Chocolate factory and wanted to dance singing “I’ve got a golden ticket”. Thanks for the tasting notes, I’m saving mine to be cracked on Hogmany! Any thoughts of the origin of the dram from your experience? My only thoughts were that maybe Aldi were able to obtain a 40 year old whisky at such a price because of a previous buying history with a distillery or group. Which means it would perhaps be more likely it came from the stable of one of the big boys such as Diageo or Pernod Ricard? An Aberlour maybe? There are certain characturistics which are similar to their 15 year old. I was the 6th (out of 6) in line at Aldi in Barnsley. Numbers 7,8,9,etc… followed closely behind me. I am going to sit on my bottle for a while and save it for my imminent lottery win. If I hold it for a year there will be less about and it might even make the £300 mark? Dead chuffed 6 bottles in Forfar 5 had supposedly gone to customers at 6.30am with only one to be had at 8am which I received the ticket for. Also after reading the excellent review I can not wait to open it and share with friends over the New Year period. If anyone knows the distillery where it is from it would add to the banter once opened. I turned up outside the Stockton Heath store to find 5 men standing outside in the freezing cold. As soon as I opened the car door they all in unison belowed “are you here for the whisky ? if you are you have the last ticket. As the store manager gave me the last ticket the cars started to arrive one after the other only to be turned away disappointed. I did think of selling my ticket ( Thats the scot in my blood coming out of me) but no, I now dream of opening the bottle on hogmanay’. When I arrived home triumphant an even bigger suprise! my wife handed me £50 and wished me a merry christmas. God bless Aldi and all the employees who work there souls out for them have a VERY MERRY and WEALTHY 2012. Sad person was one of the kinder comments amongst my mates when I told them I started queueing at midnight at the Gainsborough branch but it was the only chance I’ll have of tasting a 40yo singlemalt it was worth it many thanks to Aldi. THE GLENBRIDGE All i can say about this is that no one actually knows which distillery this whisky came from everyone is guessing. We know it is a Speyside distillery? but which one , It surely it must have come from a desperate company a realease to Aldi of 3000 bottles is only £150,000 so why ???? or mayby Aldi threw in the £750 k as a lost leader i do not think so the reports i have read say its ok! lets be honest about it you do not buy the real ma-coy for £50 when £300 is probably the price of the real stuff,So good luck to all the eBay guys that queued up at 5 am in the freezing cold and had 1 or 2 bottles i feel sorry for the idiots that might buy this on eBay thinking they have a bottle worth £300 LOL. Perhaps it might have come from casks stored at Speyside Distillers they have just called in the receiver there are 800 casks stored there only joking.Imagine this if you close your eyes and take a sip and you paid £50 for the bottle suddenly it tastes like £300 whisky is it really in the taste or in the profit your dreaming about making on eBay or if you bought one on Ebay are trying to justify your stupidity.. You never get something for nothing there is always a catch. Please note this is not a whisky that has been reduced to £49.99 from £300. It might only be priced at £300 if it came out with the branding and stamp of approval of a named and probably well respected distillery. It is better to think of this as a £120-£150 bottle (the price of similar unnamed 40 year old bottlings from Speyside distilleries). 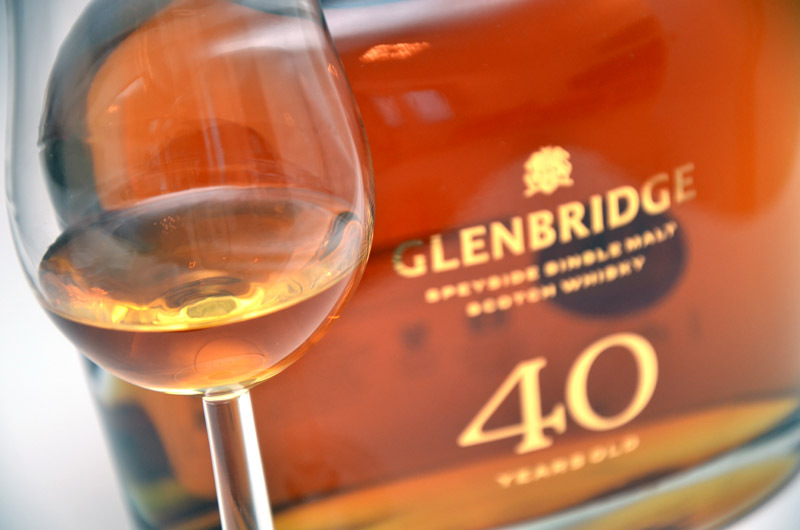 None of that changes the fact that it appears to be a delicious and luxurious whisky. Colin’s notes back up everyone else’s comments I’ve read about this one. Well done Aldi and well done anyone who got a boltle. my good lady was up and out to Aldi’s in Alexandria Scotland,for just after seven am and managed to get the last ticket well done her. My angel of the north. i cycled over to my aldi store and saw there were 4 people already waiting, all greeting me with a head nod. got there at 7-35 then more turned up and some waited in cars? at 7-55 an aldi stores person came and asked who’s here for the whisky as there are only 6bottles in the store and its first come first served. as the tickets were getting alocated to the first 4 i was panicking, the stores person didnt believe i was one of the first 6. was saved by a woman who vouched that i was 5th in line and was handed a ticket.